Q: Where can I buy Llungen Lures? A: Over 35 U.S. brick and mortar stores currently carry Llungen Lures products. In addition, online retailers such as Team Rhino Outdoors & Musky Tackle Online. If you cannot find a dealer near you, please contact us. If there is not one in your area, or the dealer near you does not carry what you are looking for, please feel free to purchase direct from our website. Q: Can I order custom colored baits? A: Yes! We can make baits with any combinations of the blade colors and skirt colors available on the website. 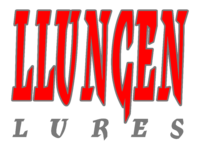 In addition, Team Rhino Outdoors carries a full selection of custom Llungen products. Contact us to tell us what you’re looking for! Please allow additional time for us to develop your custom creation. Q: Are Llungen Lures made in the U.S.A.? A: Yes! All of the materials used to manufacture Llungen Lures are made in the U.S.A. Llungen Lures are also proudly assembled in the U.S.A.
Q: Who should I contact if I’m interested in placing a wholesale order from Llungen Lures? A: Thank you for the interest. We would be happy to hear from you. Please email us at info@Llungenlures.com. Still have a question? No worries, drop us a line at info@Llungenlures.com.